Blessing of Might: Helm enchant? Sort of. 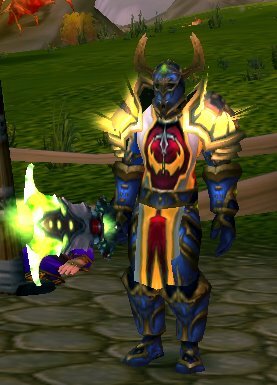 So you've picked up a shiny new vengeful gladiator's scaled helm... or you've got something else on you head. But how can you make it better? There are no enchants for helmets. There are others out there, but these two are best for a Ret Pally. Click the links for more info and reputation requirements. Tomorrow I'll go over some of the gems that you'll want to use with your gear. Thank you so much, I finally have good proof that a retribution paladin can be viable in pvp and in raiding. I'm only 68 right now and have finally found some good gear to go for, something that I would like to hear more about is the difference between season 1,2, and 3 sets. Also you might think about posting some thoughts on how ret pallys can tell their guild that they are not going to respec to a healbot or a tankadin.